With Black Friday and Cyber Monday behind us, and the holiday season in full swing, gift card merchants should be running on all cylinders to get their cards into stockings and under the tree, but Santa’s sleigh may be lighter on plastic than it could be. According to Rich Killian, founder and president of Orlando-based RK Incentives – a provider of closed-loop gift card sales consulting to several major national retailers – the industry’s overall promotional efforts thus far rate a solid “B” this holiday season. 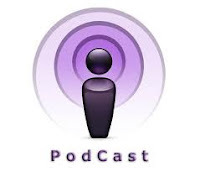 In an interview for the first installment of IIR’s podcast series – “Progress in Prepaid” – Killian said merchants are doing a respectable job of promoting and marketing gift cards this season, but there is room for improvement. Killian also discussed the gift card industry’s trajectory in the mobile revolution. It appears we may be farther along than many folks realize. During the holidays, merchants frequently move the same volume of cards in three weeks as they do during the other 49 weeks of the year combined, but Killian in our interview suggested they could step up their game. The difference between an “A” and a “B” may be bigger than it seems. According to the National Retail Federation (NRF), Americans’ total spending on gift cards this holiday season may reach $24.8 billion. In addition, the NRF reports gift cards remain at the top of consumers’ holiday wish lists for the fourth consecutive year. 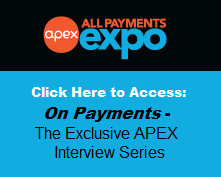 A previous post on IIR’s Prepaid Expo blog noted that the opportunity this year is heightened all the more because consumers are turning to gift cards to avoid overspending or racking up additional credit card debt. Yet Killian says major merchants – both B-to-C and B-to-B – don’t pay enough attention to gift cards during these critical three to four weeks. By focusing on the season to an even greater degree than most retailers already do, gift cards may indeed give merchants a holiday reason to cheer! Rich Killian is the founder and president of RK Incentives, a consulting group based in Orlando, Florida that is focused on improving corporate (B2B) and consumer (B2C) gift card sales programs. Clients include only major National Restaurant, Retail, or Hotel Branded Companies that are interested in improving their gift card business by millions of dollars. Rich will be just one of many experts featured at IIR’s 2011 Prepaid Expo – the world’s largest meeting for prepaid industry professionals in both closed- and open-loop markets – March 6-9 in Orlando, FL. Register today! And please be sure to tune in for more interviews with prepaid experts and stakeholders in upcoming episodes of IIR’s “Progress in Prepaid” podcast series! 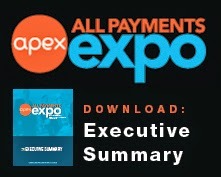 Happy Holidays from Prepaid Expo!